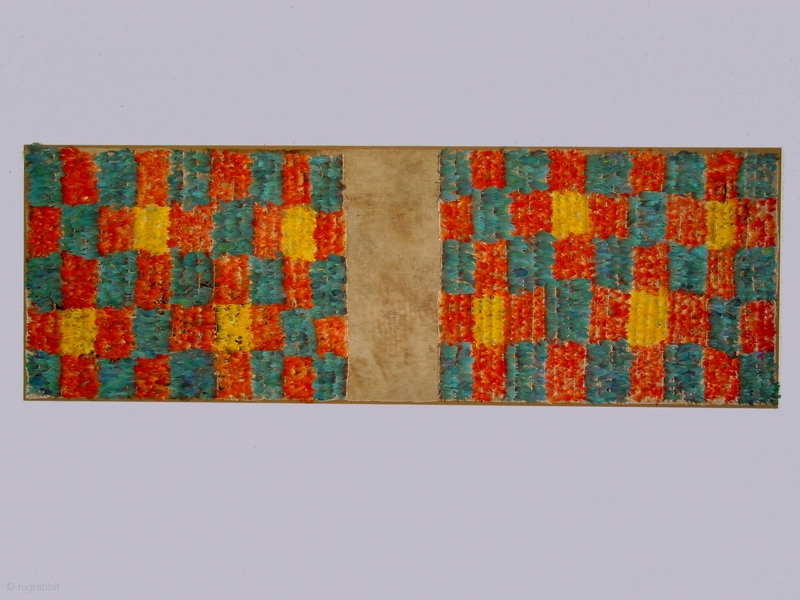 Half tunic, Inca culture, Peru, feathers applied to a cotton foundation, 14th century, 21 x 63 inches ( mounted). Such tunics were typically made from two pieces of selvedged fabric sewn together vertically, so each strip runs from the front to the back of the garment. The plain area would have been at the shoulder line.